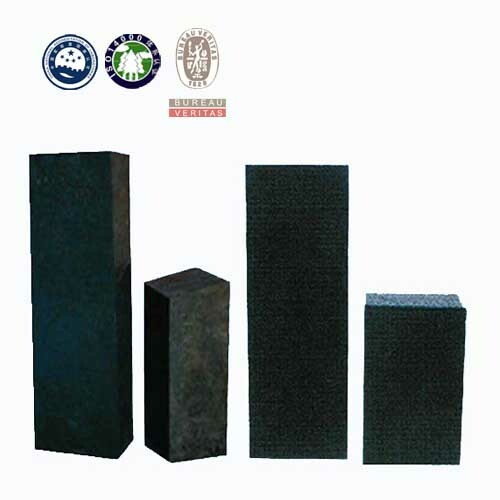 Semi-graphitic Carbon Block adopt calcined coal, petrol coke, asphalt, artificial graphite, etc as raw material, produced through forming, sintering and mechanical treatment. 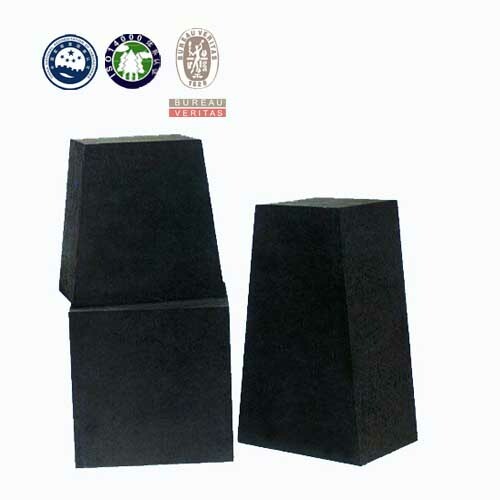 If Semi-graphitic Carbon Block is used with silicon nitride bonded silicon carbide brick, it will improve the anti-erosion and anti-osmosis ability of the side wall of aluminium cell, reduce the using of carbon based ramming mass. 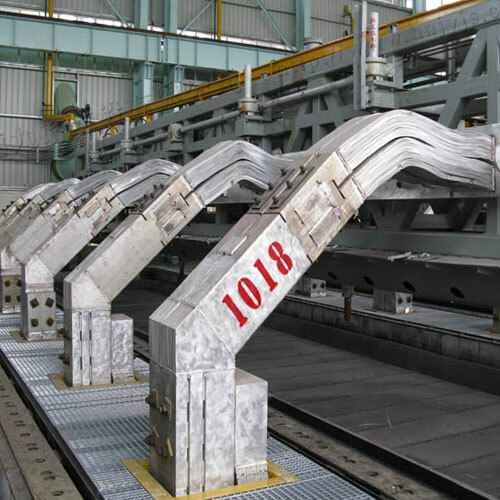 Therefore, reducing environmental pollution and work load of aluminium cell construction. 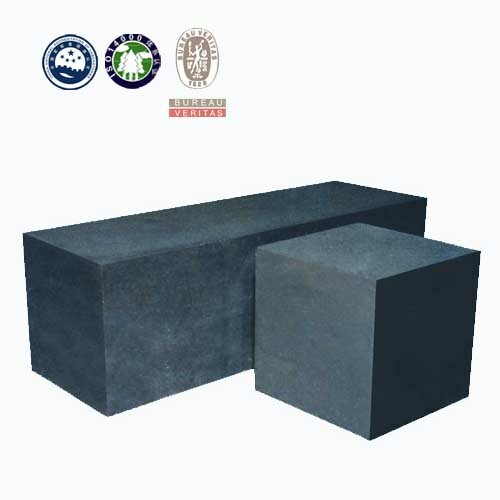 It is mad of high temperature' electrical calcined anthracite as main a material, medium temperate pitch as binder, through forming, high temperature baking, final precision machining. 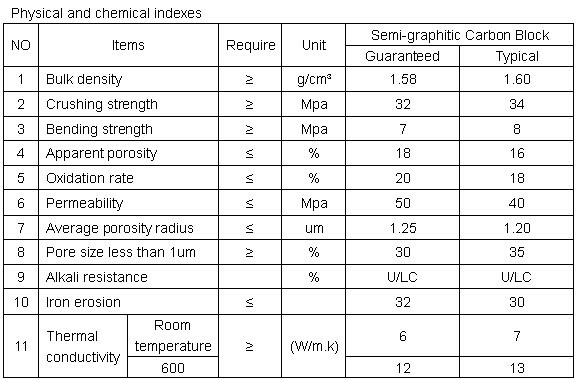 It features good thermal conductivity and alkaline resistance. It is economic and practical, and mainly applied for blast furnace bottom.